Coming downtown is our first Poke restaurant? No it’s not related to the Pokemon game nor those annoying pokes on facebook… It’s actually pronounced POH-KAY. You can just think of it as a deconstructed sushi roll placed in a delicious bowl with roots in Hawaii which is both healthy and delicious. Ono Grinds Poke will serve poke bowls consisting of fresh cube-shaped, sashimi grade tuna, salmon & tofu. They marinate the fish in one of their delicious house made sauces, and place in a bowl with choice of base (white rice, brown rice or zucchini noodles), mix-ins and toppings. The bowls are all customizable and can really be as simple or as adventurous as you want! In addition to fresh poke bowls, the restaurant will offer superfood acai and pitaya bowls, smoothies and more. 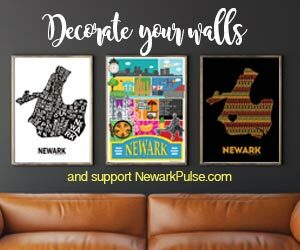 The concept is being brought to Newark by two young first-time restaurateurs, Luis and Daniela. Newark was “home” to Luis’ mother who was an educator in the city for 30 years and where Luis attended college at Rutgers-Newark.The idea for the restaurant came from a 2014 trip to the Big Island of Hawaii where these foodies fell in love with the fresh flavors of poke. They hope to bring their mantra of “#MindBodyBowl” into the dining scene that is growing downtown. And partner with charities and causes in the area to help give back to the city. The couple is hoping to open their location this summer and excited to show off their island escape.